we were in the room 109 & 110. If you want to stay in Delhi for short period and need to travel by Rail, Metro Rail, Metro rail for Airport and by Air, it is the best location. Rent is reasonable but staff & Reception Manager are not helpful except room service boys. Only Soap & dirty towel are provided by house keeper. We can expect the shampoo & toothpaste in this range. No remote for AC. Another hotel named Chanchal Continental Hotel in opposite road which is shown in Google Maps, but Chanchal Deluxe Hotel is not present in any maps which make confuse a new comer. If you need only a roof & no service, it is highly recommended. Room was excellent, very clean, however you do get to see cockroaches running around (It depends upon room to room). Staff were friendly, and very helpful. Restaurant staff needs to be trained for hygiene and cleanliness. Breakfast is free every morning. It's a good variety of food. 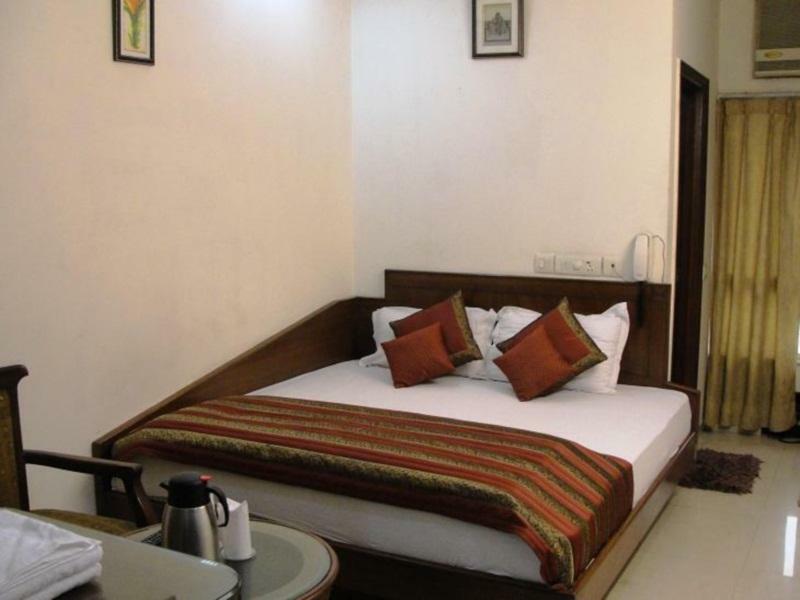 Overall very good hotel for reasonable price. nice, not that it's a hotel to spend much time at as it's crammed into a smaller road but a perfect location to explore Delhi. 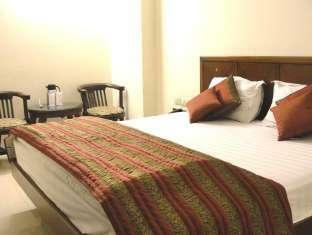 Staff is super friendly, serves a very nice breakfast and rooms are clean enough. Excellent value for price. i stayed in the hotel for just 12 hours since i was waiting for my night plane and didn't want to pay too much for a short stay. the overall impression was quite satisfactory though the walls and doors are very thin so if you plan to spend the night there take your earplugs with you. i ordered some room service meal and it was quite ok. the hotel is just for backpackers to spend a night waiting for a train. Hotel is in a back alley which I wasn't a huge fan of walking down at night, but it's in a great location close to the metro and dehli station, and walking distance from the old town, and if you're keen the city centre. The rooms were a bit tired looking, and some stains on the sheets etc, but generally pretty clean. The price seemed reasonable for the area. We ate at the restaurant quite a bit, and it's really nice. The breakfast is so-so if you're looking for something a bit western, but good for the price as it's complimentary. It was nice to get the paper delivered each day, and we found the staff were generally pretty friendly. not a huge amount of english spoken - hard to get nuances across. restaurant was good. Great little find in the schizophrenic city of Delhi. Rooms were comfortable and clean - they had hot water and we received complimentary water and mango juice on arrival. Breakfast leaves a lot to be desired for as its catered for Indian people rather than westerners but they did have toast and boiled eggs! I'm a 59 year old Canadian male travelling alone, this hotel was fine for me but would not have been OK for my wife. It is a budget hotel located on a side street. The hotel and the area is kind of run down and has seen better days. it's a bit of a shock when you first arrive but after 2 days it becomes normal - lets face it all of delhi is like this. Rooms are clean and spacious.Walls need repainting and the sheets may have stains...but they're clean. Breakfast upstairs is good. 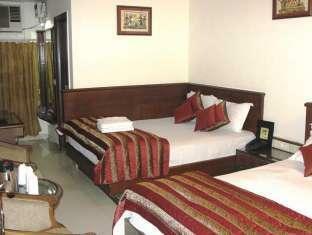 Location is good, 50 R tuk tuk to city centre.Railway station is JUST down the street. Metro is via the overpass in the railway station.Metro goes everywhere, including the airport and it's cheap I stayed here on myu return to Delhi strictly because of the metro access. At first sight the hotel did not meet our expectations. The room was small and the bed was round. There were no bedsheets only a blanket. What surprised us was the very good food, the very nice staff and the helpful taxidriver. 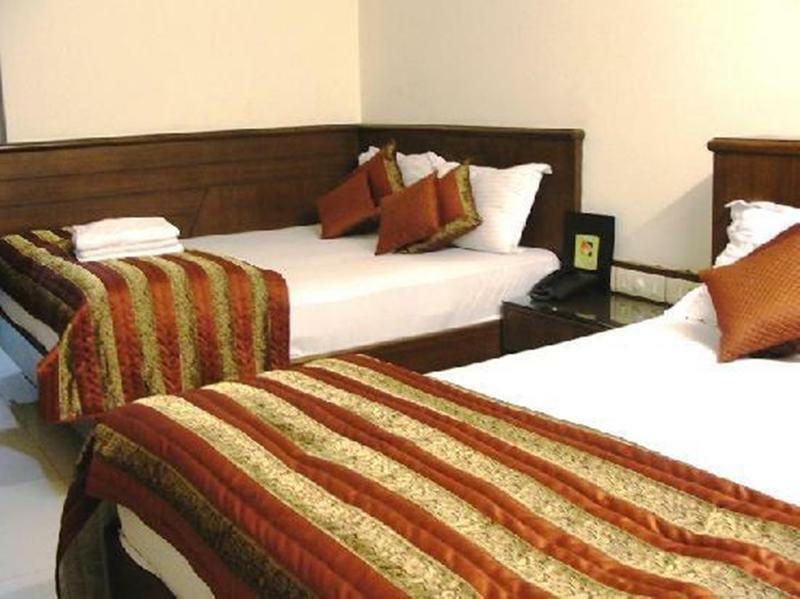 The hotel is in the centre of Delhi very near all the important shops and agencies. Next time I book again this hotel. The price is good and although the room is small all the other items made it a very convenient stay. I have traveled a lot but found the Chanchal difficult to stay at. I counted 14 large promises that turned out to be false during our stay there. They ranged from promising repeatedly to deliver something to our room to grossly misrepresenting travel plans the Balaji made for us. We ran into several angry travelers who experienced the same thing. The manager of both, who appears to be a travel arranger for the Balaji, shouldn't be trusted. He makes promises then conveniently disappears when you try and find him. Our room was not cleaned in 4 days once, they put us in a room lower than we paid for and we had to fight to get it changed. Do not book a cab through hotel - wanted 500 rupees to go to airport. Walk 50 yards to the corner of Arakashan road and it is 300 rupees. Typical Delhi - people looking to scam you and get a commission. If you can afford the extra few dollars give this place a miss and stay at Balaji DX. You get a 20% discount in the restaurant as a guest so you save a few dollars there. fine hotel with good conmfortable spaciuos rooms. rooms are clean. Good sized room with, though basic. room didnt have fridge, but they changed that. No internet in room as advertised, had to use wi-fi in the lobby. Food was poor, would be nice to have an alternative from curry for breakfast...and the room service was poor also. would not recommend. Generally clean room but towells and blankets had stains. AC/TV/western toilet/confi matress Windows were colored black to block the sun so it was possible to have a nap midday. the hotel has got good location and also friendly plus helpful staff, you will not be short of information when you need one, just ask the staff what you want to know and they are all willing to help you. come to vegetarian food again they are the expert, excellent vegetarian food available. location is also a plus point where tut-tut is anytime available at your service with a small fee, infact tut-tut is very cheap mode of transportation in delhi. i will recommend if you need a budget hotel with highly motivated staff. สถานีรถไฟ New Delhi - ระยะ 0.5 กม.